I am on a bus going from Toronto Bus Terminal to Niagara Falls Canada. It is not certain at all if I will be able return to Toronto. Perhaps I will have to leave North America and return to Japan. I haven’t been able to get Goldberg Variations out of my mind, either while I was riding on a bus to Buffalo City to book an interview, or now on the bus to Niagara. I got off the bus and am in my friend’s car now. The city is simply beautiful. My friend recommended me to cross the bridge by walk because of the beautiful landscapes. I crossed the Rainbow Bridge suspended over Niagara River in a perfect autumn weather. My adventure is reaching its climax. The view from the Rainbow Bridge over the falls in the distance is thoroughly moving. 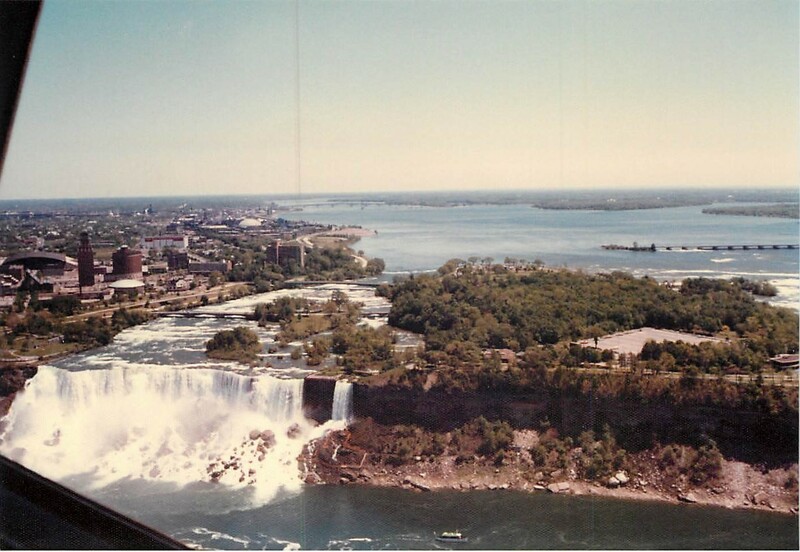 I have visited Niagara many times. I have enjoyed the falls when lit up, and I have enjoyed them when frozen. However, the autumn falls make a mesmeric sight. I stop walking and watch the falls. In my body I can feel the spirit upon which North America stands. I got an entry permit at the border crossing, and I am looking for the accommodation for the night. They say the cliffs that follow Niagara River are roads created by past falls. On the top of the cliffs, cliffs eroded each year by the falls that ate away the soil, matching private houses are standing. I took a room on the first floor of one of the houses that an elderly lady turned had turned into a guesthouse. After having a meal in a cafeteria of a nearby hotel, I went to see the falls. A rush of excitement came over me upon seeing the water of the river just before it plummeted into American Falls.